Categories: Domestic Adoption, Adoption Parenting, Adoption Professional Basics, Adoption/Foster Care Counseling, Agency Essentials, Child Care & Parenting, Classic Adoption Books, Foster Care Adoption, Tapestry Picks, The Adoption Professional. Children who are cared for in an out of home placement are in need of support and stability. This classic text offers information and advice for professionals and carers on how to help these children, who will often have attachment difficulties. Vera I. Fahlberg, M.D. shares her experience and expertise, outlining the significance of attachment and separation, the developmental stages specific to adoptive children and providing guidance on minimizing the trauma of moves. The book also features practical advice on case planning, managing behavior and direct work with children, and throughout are case studies and exercises which provide opportunities for further learning. 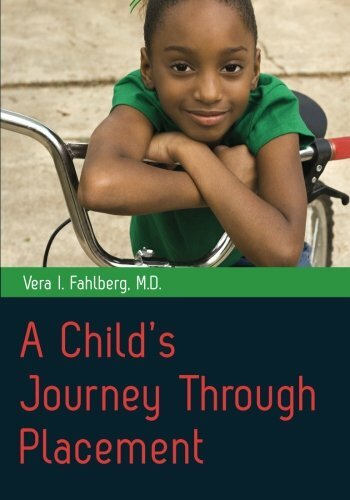 A readable, compassionate and practical text, A Child s Journey Through Placement provides the foundation, the resources, and the tools to help students, professionals, parents and others who care to support children on their journey through placement to adulthood.